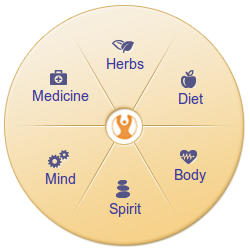 FoundHealth's mission is to empower people to find health using an integrated approach. We provide credible information on treatments from many established healing sciences combined with the shared experience of real people trying and prescribing these treatments. Find your health condition and a wealth of treatments. Plus, learn from other's experiences. Do you have a specific treatment in mind? Understand more about it. Real people: patients, caregivers, and professionals share their experiences with health treatments that they have tried, prescribed and recommended. Our blog focuses on the latest conversations in integrative health treatments, special user stories, and thoughts from guests in our community.
" I've actually been making a moderately strong tea from the wild japanese knotweed root, drinking it 2-3 times daily on an empty stomach. it assuages or eliminates my Lyme symptoms greatly, and i feel... "